Beyonce wasn’t the only dazzling diva at the Global Citizen Festival: Mandela 100 at FNB Stadium in Johannesburg, South Africa on Sunday (December 3). 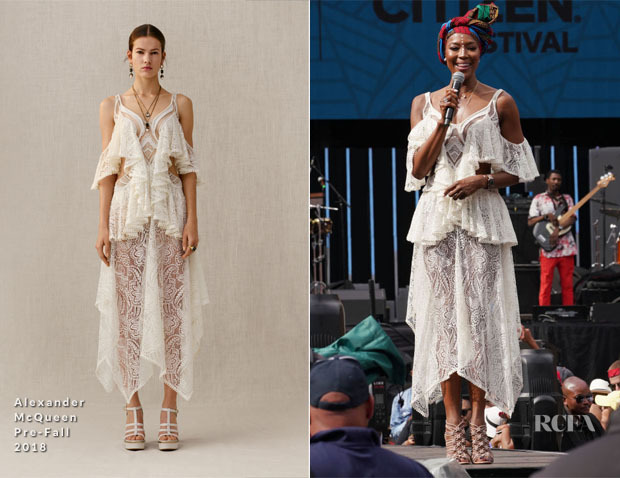 Supermodel Naomi Campbell was also there, sporting her own stylish ode to the country and culture with two distinct looks from Alexander McQueen. Her Alexander McQueen Pre-Fall 2018 frock was a lacy, ruffled number that incorporated local flair in the patterned headdress that added vibrant texture along with its meaningful tribute to handcraft. 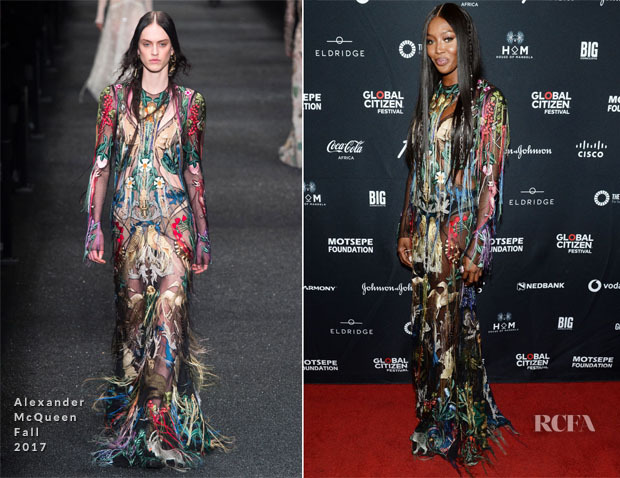 As for the this Alexander McQueen Fall 2017 gown, it was a sensory delight in its multi-hued embellishment that likewise paid homage — albeit in a more subtle, fashion-forward manner. I love that she kept the rest of her styling simple to accommodate the elaborateness of the dress.